A handy and practical guide for new law students. Do you want to do well in Law from day one? 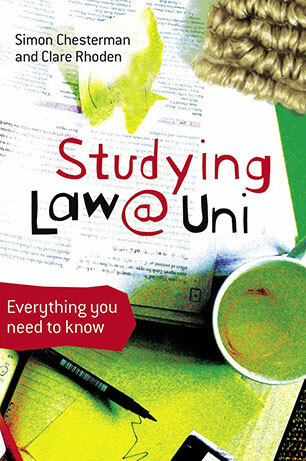 Law is a challenging and competitive subject to study at university. You need to become familiar with its peculiar language and complicated practices as quickly as possible if you want to do well. Drawing on the experiences of hundreds of students, Studying Law at University demystifies your law course. With reliable tips and practical suggestions, it shows you how to: understand key legal concepts; read cases; take useful notes; become an active learner; manage your time; write law essays; sit law exams. Updated to take into account the increasing use of the internet, this second edition of Studying Law at University tells you everything you need to know to get good marks and enjoy your studies. Simon Chesterman studied law at the University of Melbourne, obtained a doctorate in law at Oxford University on a Rhodes Scholarship, and is now Executive Director of the Institute for International Law and Justice at New York University. Clare Rhoden has advised students for many years on study issues and is manager of the student transition program at the University of Melbourne. 1 Why are you studying law?